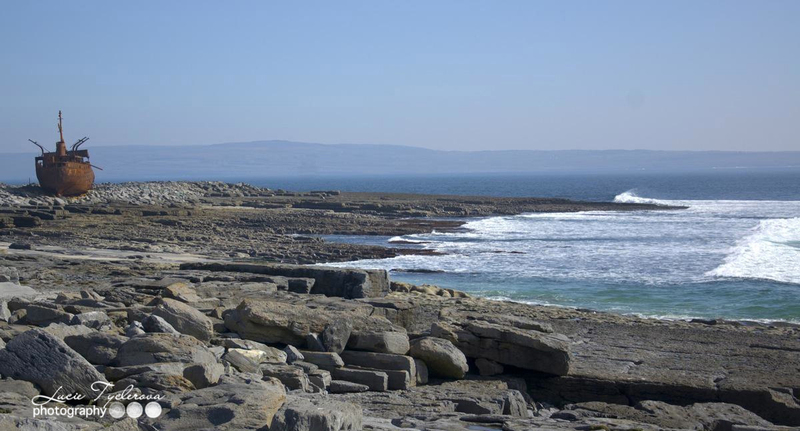 Aran islands are located in county Clare in the west coast of Ireland.There is so much to do in here that you can stay here at least for a night. You will definitely enjoy! There are three Atlantic islands called the Aran Islands -Inishere, Inishmoore and Inishmaan. Accommodation is very easy to book – hostels, hotel and lots of bed & breakfast so you don’t have to worry about where to stay. You have to take a ferry to Aran islands – there are two points where you can take the ferry from – Doolin a village which is situated underneath the Cliffs of Moher or from Ros a’Mhíl which is situated in the heart of Galway bay. You can also take a plane from Connemara airport, make sure you book your flight in advance because the flights are very busy. Just one more little reminder don’t forget to check the weather because the ferries and planes only operate in good weather. Inishmore island is the biggest of the three. It offers great possibilities for hiking, cycling or just a nice drive. The hike or cycle is moderate and is about 22 km long but you can just adjust it for yourself. After my arrival to Inishmore island I rented a bike for €10/per day and I cycled all around the island. If you want to see a lot and enjoy the atmosphere the bike trip is the best. 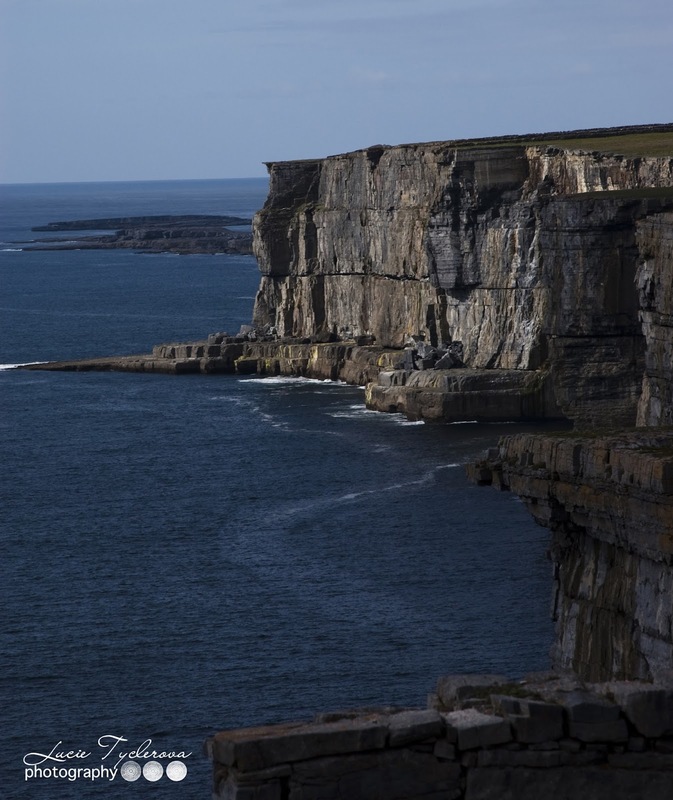 To get to Dun Aengus by bike takes about 30 minutes but with all the beauty around it might take you longer. 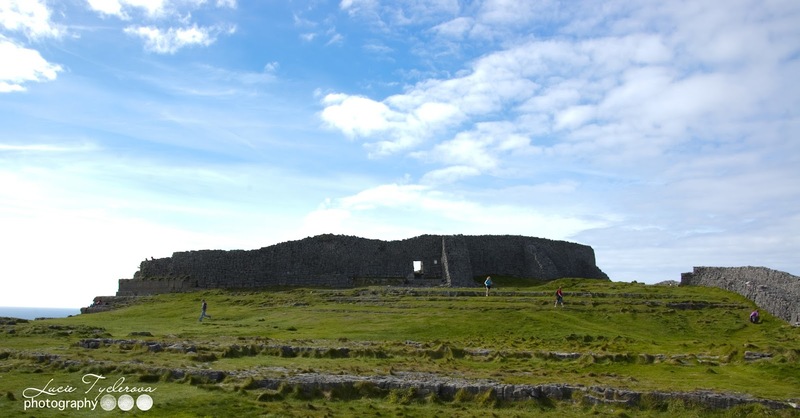 Dun Aengus of Inishmore have uncovered the remains of huts and bones which suggests to the archeologists that the land was already occupied between 500 – 800 BC, several centuries before the fort was build. The fort is situated on the rim of a 200 m high cliff on the island’s southern coast. It’s simply stunning and definitely worth visiting. On the way back you can visit one more attraction called Dun Duchanthair. There is plenty of craft shops, pubs, bars or restaurants on Inishmore if you want to stay overnight and make the most of your visit. Inisheere is a smaller island but as beautiful as Inishmore full of nice spots.You can rent a bike again or just walk round the island. For going around the whole island I recommend a car or a bike, for hiking just choose the highlights – this is a map. I enjoyed the part of thewalk where Lough More is, you also get to see the wreck of Plassy over there. 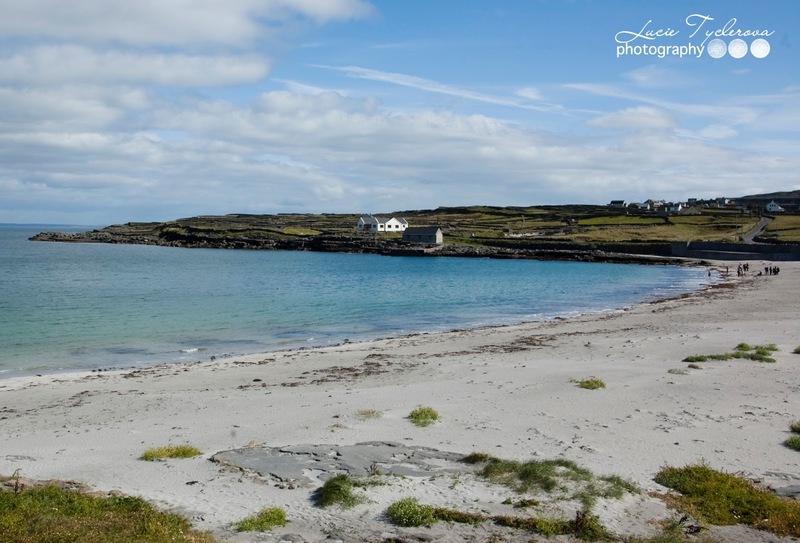 The beach is situated on the way back.Whether you stay overnight or just one day enjoy the Aran Islands and don’t forget to check local crafs.